In his first day at the UN as the US President, Donald Trump sets aside his confrontational style for a more conciliatory display. We pledge to be partners in your work. And I am confident that if we work together and champion truly bold reforms, the United Nations will emerge as a stronger, more effective, more just and greater force for peace and harmony in the world. There were flashes of the Trump bombast. He ensured a reference to his business interests with the boast that he made the right decision to build Trump Tower opposite UN headquarters. And he repeated the threat — so far, an empty one — to withdraw from the Iran nuclear deal. We seek a United Nations that regains the trust of the people around the world. In order to achieve this, the United Nations must hold every level of management accountable, protect whistle-blowers and focus on results rather than on process. Trump said UN reform should ensure that no member “shoulders a disproportionate share of the burden, and that’s militarily or financially”, but he did not repeat the threat to sharply cut the US contribution to the organization. 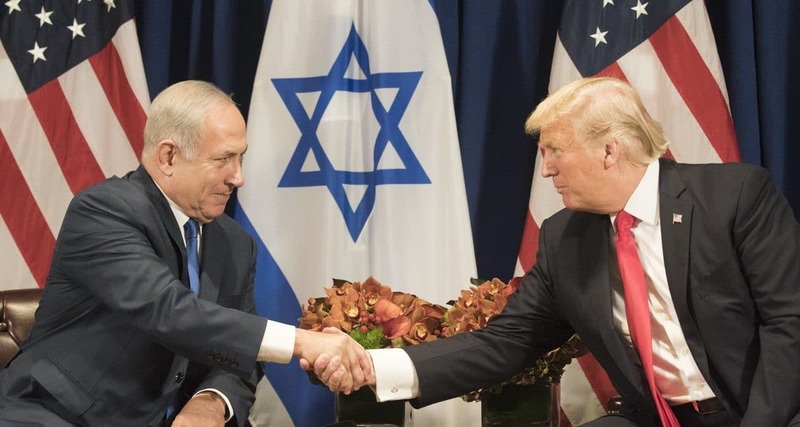 During the day, Trump met with Israeli Prime Minister Benjamin Netanyahu, a session largely about Iran, and with French President Emmanuel Macron. Trump gave a flash of both his admiration and competition with Macron’s ascendancy. Reflecting on his visit to Paris for Bastille Day in June, Trump said that the US should have its own military parade on July 4. Sources say US investigators wiretapped former Trump campaign chairman Paul Manafort, under an order from a top-secret court, before and after the election. The surveillance continued into early 2017, with Manafort continuing to speak to Donald Trump. Three sources said the intelligence heightened concerns that Manafort, who has long-standing links with pro-Russian Ukrainian politicians and parties, encouraged the Russians to help with the Trump campaign. But two of the sources said the evidence is not conclusive. The order by the Foreign Intelligence Surveillance Act Court was issued soon after Manafort became the subject of an FBI investigation in 2014, around his work for consulting firms for Jkraine’s former ruling party in Ukraine of pro-Russian President Viktor Yanukovych. A source said the surveillance was discontinued at some point in 2016 for lack of evidence, but restarted after the FBI obtained a new FISA warrant. The FBI began its inquiry into possible links between the Trump campaign and Russian operations in July 2016 and obtained a FISA order for surveillance in October, although it is unclear if Manafort was covered by that general warrant or by another specific authorization. The gap between the two periods is significant — there was no order covering Manafort when participated in the June 2016 meeting in Trump Tower between Donald Trump Jr. and Trump’s son-in-law with three Kremlin-linked envoys. Earlier this year, the FBI conducted a search of a storage facility belonging to Manafort. It is not known what evidence is collected. Trump and Manafort halted their conversations at some point in 2017 when their lawyers insisted they stop. The sources did not say if Trump was picked up on the wiretapping of his former campaign manager.